Things to do in Mallorca with Culturiplan®: Places to visit in Mallorca, BEST LODGING OFFERS IN MALLORCA, GUIDED TOURS AND ACTIVITIES, the best beaches in Mallorca, history, gastronomy, cultural events. Look no further, we offer you the best deals available in real time for Mallorca through BOOKING.COM, the world’s leading accommodation deals. There is an endless number of things to do in Mallorca, we have selected for you the most interesting in terms of quality, price and interest. All of them with the GetYourGuide Certified Guarantee. In addition to its formidable nature, Mallorca holds a sublime history that has sowed the island with an impressive historical heritage and an intense cultural activity, there is a lot of culture to see in Mallorca. In every corner of Mallorca are charming towns and cities, but among them stands the capital, Palma de Mallorca, considered by The Times as “the best place to live in the world”. It’s no wonder this consideration, since Palma has everything you could wish; magnificent monuments, cozy streets, beaches, port, museums … All these wonders are complemented with an exquisite cuisine and a idyllic weather. Click on each link for full information. One of the main attractions of Mallorca is its wonderful beaches and coves, there are many and varied but we have selected the best beaches in Mallorca according to the opinions that visitors to Mallorca pour into the net. Click on each link for full information of the best beaches in Majorca. One of the things to do in Mallorca is to taste its excellent Mediterranean cuisine, a crossroads of cultures and traditions embodied in delicious dishes from sea and land. Starters Pastry of marinated meat pork and vegetables. Salad of cod and honey. Majorcan tomatoes with prawns from Soller. Rice with lobster. Meats Suckling goat. Veal in majorcan style. Duck breast with honey sauce. Stuffed chicken leg. Fish Cod fillet with asparagous in oil emultion. Braised turbot with wild mushrooms. Monkfish. Seabass cooked in seasalt. Desserts Mallorcan pudding. Gateau with almond ice cream. Biscuit glasé of “turrón”. Panna cotta with sauce of berries and lemon. Local wines, “licor de palo” (very aromatic dark spirit) and herbs spirit. Ceramics, pearls and jewelery. Typical crafts. As being a paradise in the Mediterranean sea, it is not surprising that all civilizations would wish to conquer this lovely island. Most of the civilizations that have inhabited the Mediterranean have been here and all of thema have left their influence in the landscape and culture. 7200 b.C… The first human settlements in Mallorca. 1300 b.C Talaiotic peoples invade the island of Mallorca. 1000 b. C The Phoenicians settle in Mallorca. 700 b.C The Carthaginians arrive on the island conquering Mallorca. 123 b.C Mallorca was conquered by the troops of consul Metellus for the romans. 425 Vandals invaded and ransacked the island, settleing on Mallorca. 534 Byzantine troops of General Belisario conquered the island of Mallorca for Emperor Justinian I. 707 The Arabs come to Mallorca invading the island. 1076 It creates the Taifa de Mallorca. 1229 Aragonese troops of Jaime I the Conqueror arrive on the island of Mallorca, conquering the island for the Christians. 1262 The kingdom of Mallorca is created in constant disputes with the crown of Aragon. 1349 Mallorca is reincorporated to the kingdom of Aragon. 1521 Revolt of the “Germanies” suffocated by the imperial troops of Carlos I. 1715 During the war of succession Mallorca becomes part of-Austrian surrendering to the troops of Philip V.
1936 At the beginning of the civil war, Mallorca is aligned with the putschists troops of General Franco, and will remain so throughout the war. We help you organize your travel to Mallorca by searching and selecting the best options to get to the island and to move in it. Mallorca is a unique island in many aspects, there is much to see in Mallorca and it is advisable to travel the whole island from north to south and east to west. Its fantastic coast landscapes and picturesque inland villages make traveling around Majorca a truly pleasure. 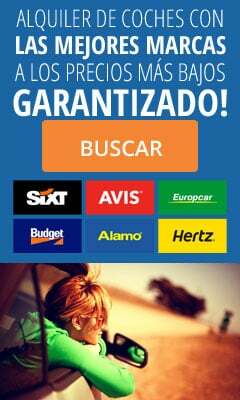 To travel around Mallorca is essential to rent a car, we recommend ATRÀPALO, which in addition to looking for the best prices, offer impeccable service. Can you suggest some other things to do in Mallorca?